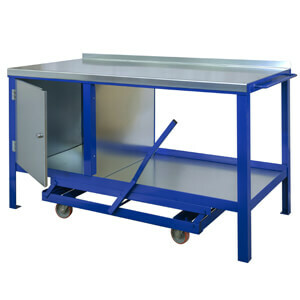 Mobile workbenches come fully welded (not flat pack) and ready to use. 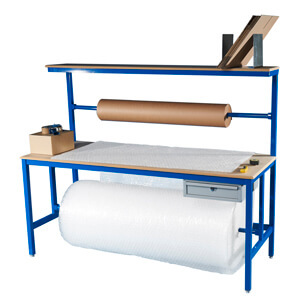 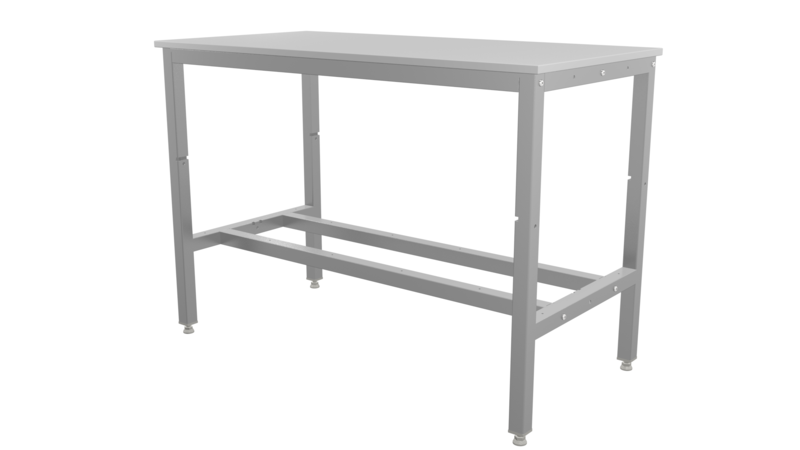 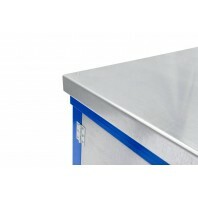 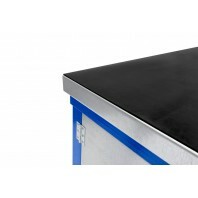 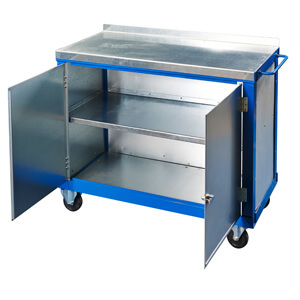 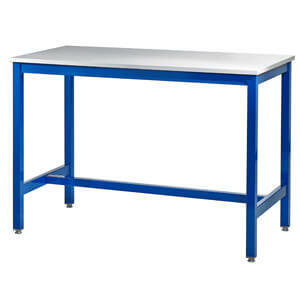 The fully portable workbench stands on four legs when in use with the wheels off the floor. 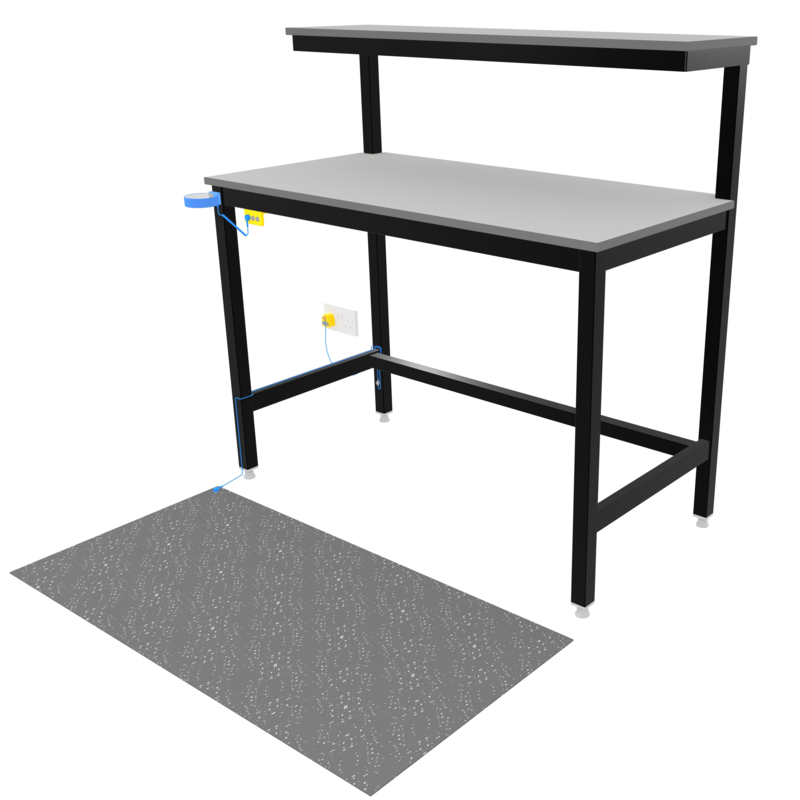 A simple lever action converts the static workbench to an easy to move one. 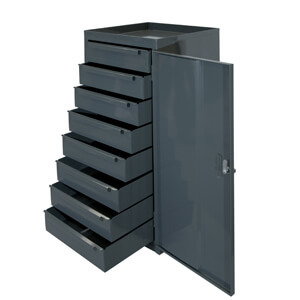 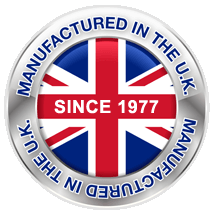 There are two versions available standard cupboard or a standard cupboard and five drawer unit. 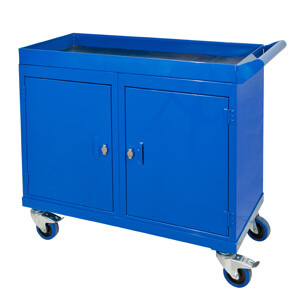 The uniformly distributed load (UDL) is up to 1000kg on legs and 450kg on castors. 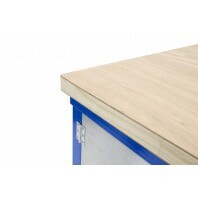 There are two standard lengths and widths with this range. 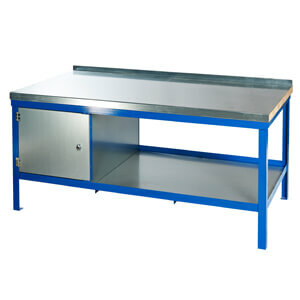 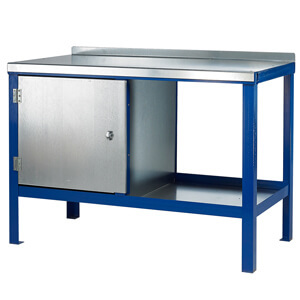 Once selected you will be able to choose sizes and optional accessories for your Mobile Workbench.